Congratulations on Your Child Being Accepted! Now that that’s settled, the idea of actually paying for college looms. Hopefully, you have prepared in some way but fear not. 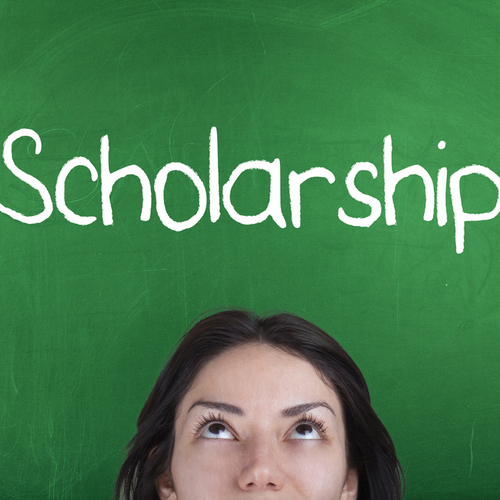 Finding a scholarship can help with the cost of college. If you live in Florida and have purchased a Florida Prepaid plan, then that will start working for you immediately. And, if your student received assistance from Bright Futures, that too helps offset some of the costs. Every year, I hear stories about thousands of dollars in scholarship money that are never applied for. It does take a lot of work and time to research scholarships, apply for them, and to validate the authenticity of them. But, that work can pay off at a reduced cost to you. Some are quite competitive, some last for four years, and some are downright silly, but pay for something. Some scholarships require essays and believe it or not, those are the ones most avoided; therefore, have the least amount of people applying. Don’t steer away from these; seek help with the essay instead. It is also recommended to apply for any scholarships as early as possible and be sure to have your FAFSA form completed beforehand. The best place to start is probably on some of the following websites: FastWeb and NextStudent.com (both are excellent free search engines that are updated daily), GoodCall, BestColleges.com, Cappex.com, CollegeAnswer.com, Scholarships.com, Scholarship Experts, CollegeScholarship.org, and ScholarshipGuidance.com. Also, check with the city that you live in as many municipalities have scholarship money available. More specialized searches targeted toward specific subjects, financial situations or minorities can be done through websites like: CollegeWhale.com (which will walk you through the FAFSA, student loans and financial aid, as well as match your student to the best scholarships for them), AccreditedSchoolsOnline.org (for minority students), NewsFund.org (journalism scholarships funded by Dow Jones Newspaper Fund), LatinoCollegeDollars.org and Hillel.org. The college advisor at our high school used to send out a weekly letter with a list of new scholarships listing the name of the program, eligibility, application availability and deadline, and the number and amounts of awards given. Some are more local; others were open to the public. See if your high school offers that. Even a small scholarship that will pay for your student’s textbooks will be appreciated. There are many options for free scholarship search engines as well as campus resources. Be cautious of scams and don’t pay for services that say they will find them for you or offer a money-back guarantee and never provide personal information such as bank account numbers, and credit cards numbers. Consider creating a separate email address just to be used for scholarships. Some scholarship websites sell your email information to third party companies. This will allow you to keep your personal email address and your .edu email address private. UNF offers several merit or need-based scholarships. For more information on scholarships offered through UNF, click here. Make sure to check all the requirements and deadlines for each scholarship, as some apply only to certain degree programs. UNF also has scholarships that are only available to incoming freshman, these can be found here. Finally, check out the app Scholly, one of the fastest growing apps after appearing on Shark Tank in November 2015. It matches the student to scholarship using specific parameters including gender, state, and race as well as customized data. The app can even spot scams and weed out scholarships that require you to give a social security number (did we mention, never, ever do this). If your students are lucky enough to land a scholarship (or a few), it is highly recommended that they write a thank you note to the donor.